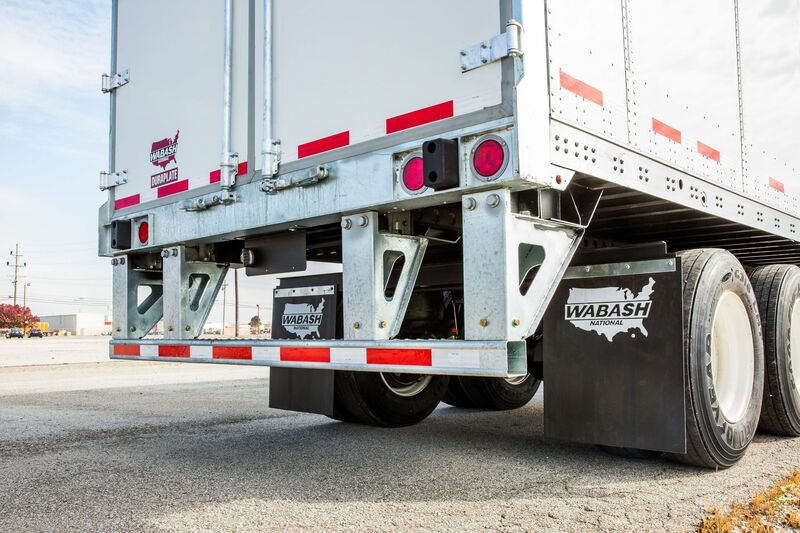 /ins.Wabash National has been named a finalist for the Swedish Steel Prize 2017 for developing the RIG-16, a lightweight and innovative Rear Underride Guard System for trucks that goes above and beyond highway safety standards. The Swedish Steel Prize is an international prize that honors the art of engineering and innovation in the steel industry. Wabash National, from the USA, is one of four finalists for this year’s prize, which will be awarded during a ceremony in Stockholm, Sweden on May 11. The RIG-16 is a safety component that extends below the rear bumper of highway trucks and serves the purpose of stopping lighter and smaller vehicles that impact the rear from under riding the truck. “Three years ago, we recognized a big value in a new bumper solution to prevent passenger compartment intrusion or PCI. However, we could not add weight, inflate costs or make the trailer impractical in any way,” says Andrzej Wylezinski, Manager of Structural Engineering at Wabash National. The design exploits important properties of advanced high-strength steel to allow for more complex formed parts that reduce component count in assembly by up to 50 percent. Thinner steel gauges allow for less joint linear length and smaller weld sizes, while the high yield strength of the steel was also utilized to create structures of superior energy absorption in the event of the vehicle crashing. The result is the best performing and lightest trailer bumper system presently available in North America. “We really think that the characteristics and properties of the material were perfect for the application and this is part of the reason we are proud of what we have accomplished. The weight, formability and weldability played greatly into the development process. We would not have been able to develop the RIG-16 without high-strength steel,” says Wylezinski. For nearly 20 years, the Swedish Steel Prize has recognized and rewarded small and large companies as well as institutions and individuals who have developed a method or product that utilizes the full potential of high-strength steel. The winner will receive a statuette by the sculptor Jörg Jeschke and a cash prize of SEK 100,000 that SSAB encourages to be donated to a charity of the winner’s choice.